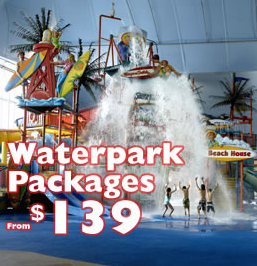 Stay and Play at the Fallsview Indoor Waterpark! The ideal family getaway, the Skyline Inn has one night waterpark packages available featuring hotel accommodations and 4 two-day waterpark passes from only $139.00. March and April dates are available, but will go fast – Book Now!